As I mature, glitter and sequin become more attractive by the year. I used to only wear glitter and sequin pieces for an evening out but recently I totally changed my mind. I love to pair a sequin top with jeans and flip flop for a lazy weekend. This way I get the glam effect in a casual fashion. I am loving kimono style recently so how can I resist this dress? I love this color and the comfort of UGG. This pair will be so savvy and fun this coming winter. ~smile!! 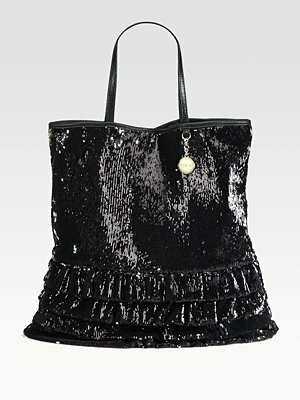 A sequin bag is perfect for a gal who wants bling accent only. I absolutely adore this tote by Valentino Red. 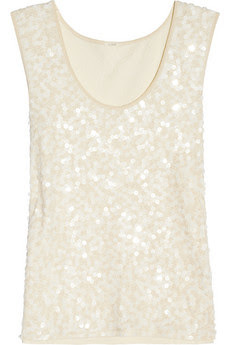 Have you Sequin this season yet?? Glitter~~~~ Love the glitter dress!!! It's so best for a night party!!! And the sequin bag is so cool!!! I am a huge fan of sequins so you know this post is definitely a winner in my book! 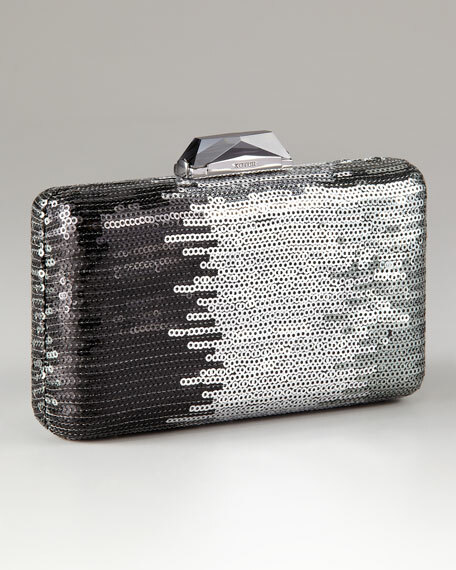 Love sequins, especially that clutch! I don't own any clothes with sequins... but maybe I should. I like that Kimono style dress!